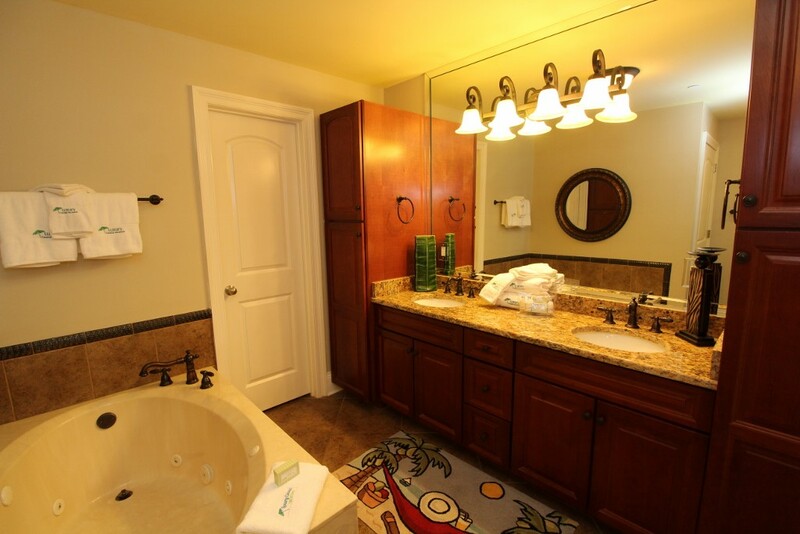 Experience ultimate luxury when you stay in this 3 bedroom, 4 bath luxury unit at Phoenix West! 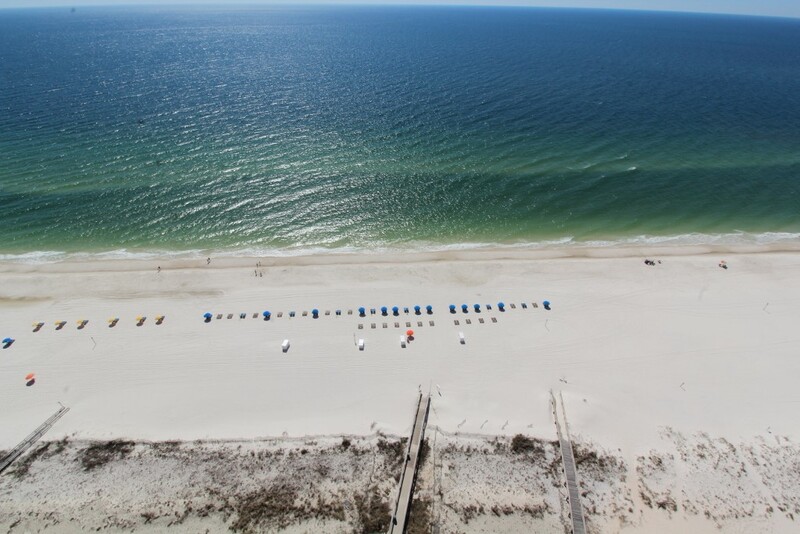 Situated along the pristine shores of Orange Beach, this fabulous resort pairs luxury and recreation, creating the ideal setting for an amazing vacation! Sugar-white sands and emerald waters, endless amenities and 26th floor views are just a few of the unparalleled features that come with this amazing unit! Professionally decorated by an interior designer, this gorgeous unit offers a spacious and open floor plan with almost 2,000 square feet of luxury and is adorned in a chic contemporary décor, boasting relaxing neutrals paired with vibrant accents of reds and golds. The living area offers plenty of seating, with two sofas and two plush side chairs where you can watch the game or your favorite movie with the family on the huge LCD television! 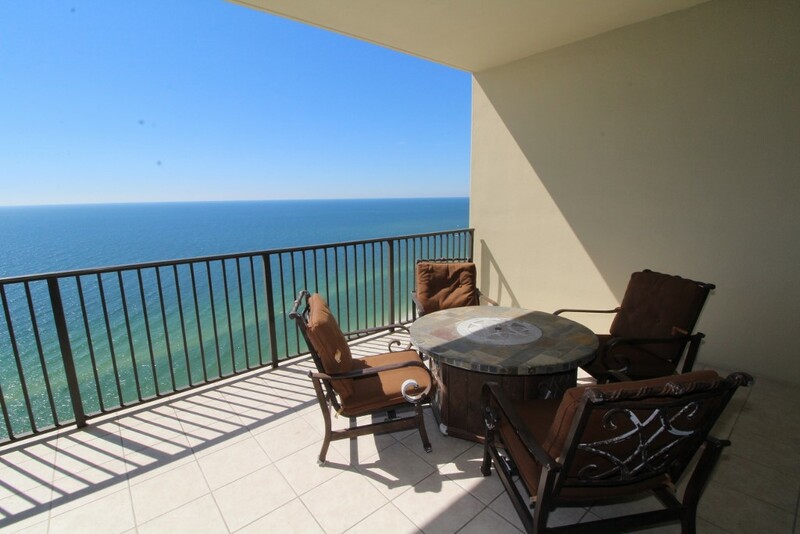 The best feature of this space is the beachfront balcony access! 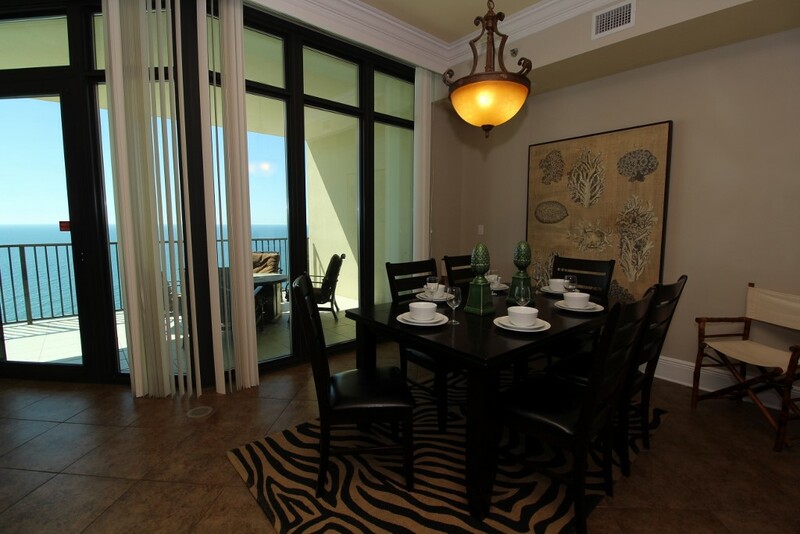 Floor-to-ceiling windows and sliding glass doors envelop the living area, giving way to the large covered terrace where you can enjoy a glass of wine and even dine al fresco while taking in the picturesque vistas of the Gulf Coast. 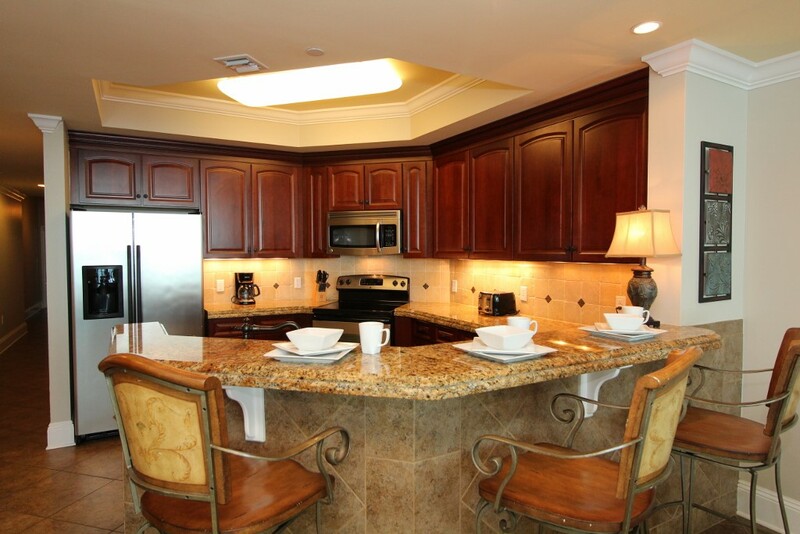 You’ll enjoy preparing your favorite meal in the upgraded kitchen, boasting upgraded appliances and a breakfast bar. The dining area hosts a table with seating for 4, with additional bar seating for 4. Entertain your friends and family by mixing their favorite cocktail at the wet bar, featuring an under counter ice maker, sink and elegant glassware. 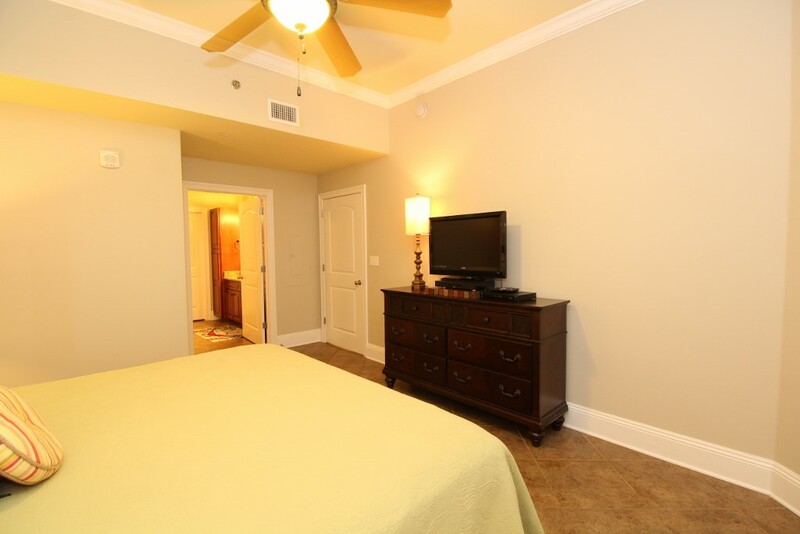 The elegant master suite hosts a king bed with luxurious bedding and premium mattress, LCD television, and an attached master bath featuring a whirlpool tub, separate glass shower and double vanities. 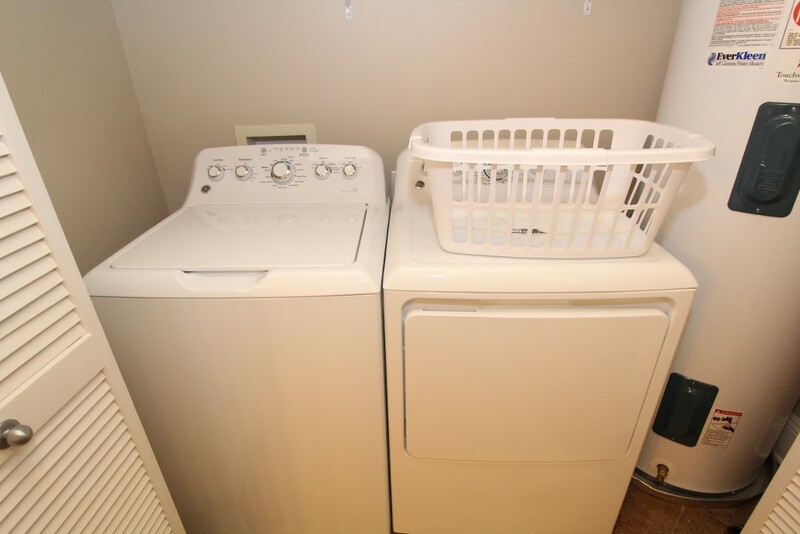 The second bedroom offers another king bed, private bath and LCD television and the third bedroom hosts two full beds with an LCD television as well. The living room sofa can also be converted into a queen sleeper, allowing comfortable accommodations for up to 10! The Phoenix West offers the most luxurious amenities on the island, featuring the only gulf front lazy river in Orange Beach or Gulf Shores, an air conditioned 27-story atrium, a large heated indoor pool and spa, gulf front outdoor pool, a smaller children’s pool, a sauna, state-of-the-art fitness center and tennis court, and on-site security with gated entry. 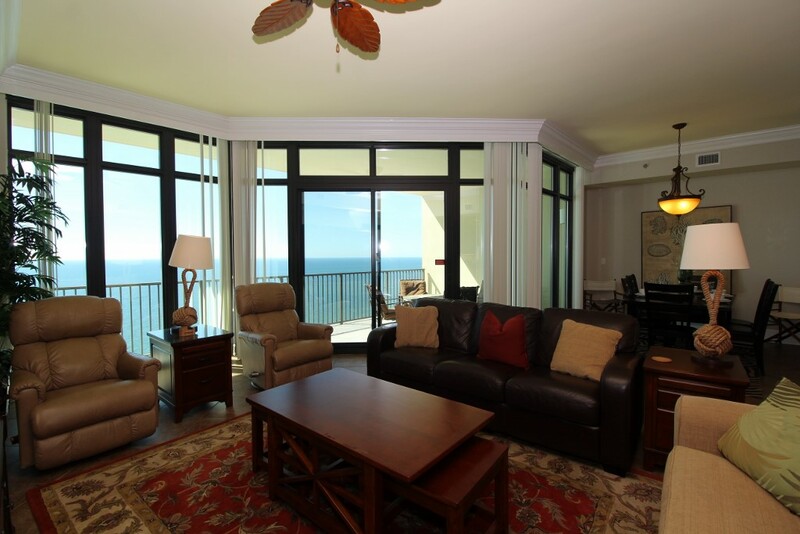 Situated in the heart of Orange Beach, Phoenix West is just a short drive from some of the best restaurants, shops and nightlife on the island. The Wharf is also just a few minutes away and hosts many fine dining and casual restaurants and bars, boutiques, a marina, laser tag, and a 10,000 seat amphitheater that features some of music’s biggest names year-round. There’s tons of recreation and fun for the whole family to enjoy! Stop dreaming about your perfect vacation and finally turn it into reality! Book with us today and experience your best vacation yet. There is a 2 car maximum at Phoenix West. The resort charges for parking passes on site.